YOU WANT YOUR CHILD TO SUCCEED. Whether this means academic achievement or personal and relational triumph, you know that if he only had a little stronger focus and better social skills your child could unlock unlimited potential. The thing is, you’ve tried multiple times to help with your child’s attention span and self-control, but nothing has worked so far. You’re ready to try something new. You’re ready for a solution. The first time you held your baby, his life flashed before your eyes. You imagined his scholastic awards, his tournament trophies, and even his first date with his very first girlfriend. You promised yourself that you would do everything in your power to make each of these dreams come true and you even went so far as to save four years’ worth of Harvard tuition before his 10th birthday. But here you are, just a few short days after that birthday and you’re starting to wonder if any of these fantasies will ever happen. School is a struggle and you know there aren’t any awards coming home this year. Sports trophies are a distant memory as the coach asked that your child kindly not return next season. It feels like everything you ever wanted for your baby is slipping further and further away. That’s not to say you want your child to be perfect. In fact, you want the opposite. 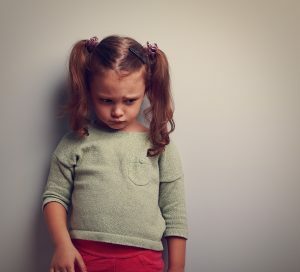 A normal child who has her ups and downs like every other kid. You know there are things that will come more easily than others or things she will find difficult. You believe that all children are unique and have strengths and weaknesses that shape them into individuals. And, you want to help your child capitalize on her exceptionality and thrive. But what you didn’t expect was how difficult some of the most basic tasks might be. You never predicted your child would have massive meltdowns over schedule changes or fidget so much he distracts his entire class from concentrating on their standardized tests. You had no idea you’d become so sensitive to sleep patterns and clumsiness. And you certainly didn’t expect to have to face outright defiance when you made a simple request. The frustrated parent, the overwhelmed parent, the guilty parent, the extremely worried parent. You were preparing your child for the next day. Laying out his particular outfit, checking to see if he actually finished an entire sheet of homework, and making sure his lunchbox was packed with his specific favorite foods. It was your normal nightly routine until you realized you were out of peanut butter crackers. In that moment you were absolutely sure your child would have a meltdown the next day in the cafeteria. You could see it. Inconsolable kicking and screaming under the lunch table simply because he had to go without a basic snack. You braced yourself for the phone call from the principal, running through the excuses you’d offer for your child’s behavior. You’ve been drowning in the overwhelm. Regardless of how prepared you are or how much effort you put in, your child still has special requirements and high needs that you just can’t manage anymore. Never mind the fact that she is getting older and needs to be able to regulate her emotions on her own. You absolutely thought she’d outgrow some of this by now, and you’re starting to see that this might be a lifelong struggle if she doesn’t get the right help. It’s really hard to see your child struggle when all of his peers seem to be thriving. There is so much pressure to reach certain achievements and hold certain standards and you just don’t know how you’re going to meet these requirements without getting him on the right track. But the truth is, there is no “right” track and kids don’t come with an instruction manual. It’s a daily fight to try to identify the best ways to reach your child when you’re unsure what the exact problem is. Addressing sensory processing concerns is not a one size fits all approach. requires specialized evaluation and individual plans to ensure you are meeting your child where she is and addressing her particular struggles. You are not the only parent to worry if your child will ever succeed on his own. We see this every day at Sensory Stepping Stones. The key is continuing to focus on your child’s strengths and developing a plan to address any deficits. You’re ready to make sure your child is the happiest and most functional he can be, and we’re here to help. Your child will undergo a multi-modal (auditory, visual, and vestibular/movement) intervention designed to help learning by stimulating these three systems at the same time. The Sensory Learning Program requires the primary nervous system to process information simultaneously in order to help your child adapt better to the real world. Your child will experience a sense of relief knowing that existing in the world will be much easier and much more fun. The Sensory Learning Program is a 30-day, drug-free therapeutic program that requires 12 consecutive days at the Sensory Stepping Stones clinic. We’ll begin with a comprehensive evaluation that highlights any and all sensory concerns your child may be experiencing. The evaluation is intended to highlight any sensory concerns as well as identify your child’s impulse control, screen for ADHD, and distinguish any emotional or behavioral issues. When scheduling the Sensory Learning Program for children and adolescents, sessions are held twice each day for 30 minutes. The sessions are separated by at least two hours, but the separation between appointments can last up to eight hours depending on the child/family. This process lasts for 12 days. You will then receive a portable light instrument to continue sessions at home for 18 additional days. Your child ends up having a total of 30 sessions between the Sensory Stepping Stones clinic and home-based therapies. While the majority of individuals who seek treatment in the Sensory Learning program are children, Sensory Stepping Stones uses the same processes and procedures for adults who are struggling. Adults undergoing the Sensory Learning Program have one, hour-long session for 12 days followed by the 18-day home treatment for a total of 30 sessions. 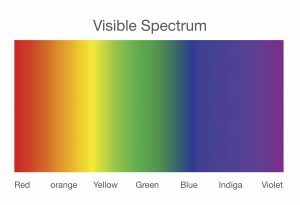 Visual Re-training: helps restore the receptivity of the client’s visual system by exposing him to each part of the visual color spectrum. Your child will be exposed to slow magenta, ruby, red, yellow, green, blue-green, and violet light pulses via a custom-designed computerized light instrument. 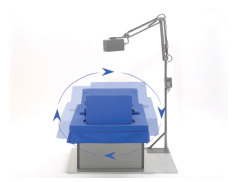 Balance/Vestibular Re-training: the client will be exposed to accustom-designed motion table and experience relaxing motions in a reclined position. This process stimulates the vestibular system and increases body awareness. Auditory Re-training: uses a modulated music program based on the client’s needs. Participants will listen to the music through headphones throughout the program that is established based on their listening profile during the assessment phase. Sensory Stepping Stones is a center dedicated to providing both traditional and innovative programs to help your child. We combine multiple, evidenced-based treatments into a holistic approach geared toward aiding your child and your family to reach its full potential. It is our mission to provide specific, holistic programs to enhance your child’s mental, emotional, physical, and functional performance so he or she experiences greater self-awareness, understanding, and growth. Our clinic insists upon creating an atmosphere that encourages your child to learn, discover, mature, and develop positive self-esteem. You can read more about our clinic here. The Sensory Learning Program is best for those who have unresolved medical or sensory issues and have tried medications and other therapies with little success. The program helps children process their environments more successfully as well as develop the skills to form meaningful relationships with others. It can also help parents and adults cope with the stress and overwhelm that comes with managing the demanding tasks of life. It is possible to have a home and family life that is no longer a daily struggle. You will be able to have fun, enlightening conversations with your kids and not worry about whether or not homework will get done. You will be able to leave the room without tantrums or fights breaking out between siblings. Just because your child has a sensory processing problem, does not mean that he or she cannot build the skills to regulate themselves! You’ll be able to send your child to school knowing that higher grades and harder assignments will not intimidate him and that she will get invited to friends’ birthday parties. Ultimately, you’ll find relief knowing that your child will find ways to be successful no matter what challenges they face in life.